The 19th century saw the rise of European tourism, especially in Switzerland. 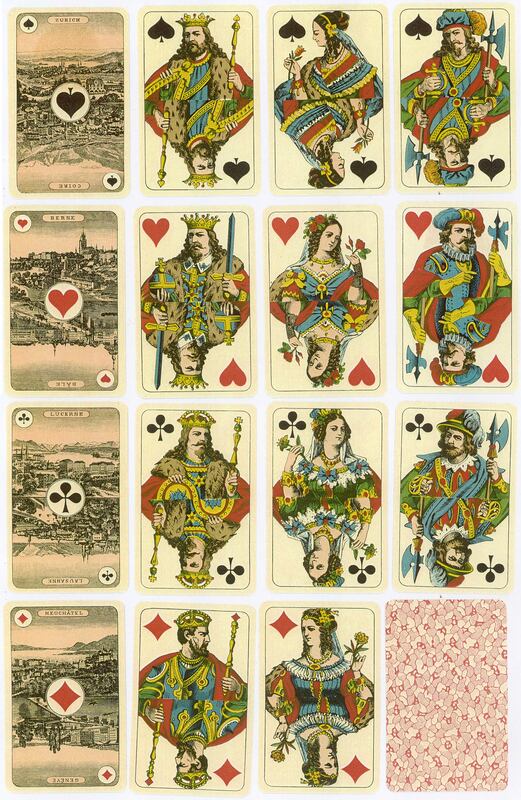 This souvenir pack with stencil coloured scenic Aces was made by Müller in c.1860. The courts are conventional figures based on French designs. Müller also produced Swiss Regional Costume packs as souvenir items for tourists. Click here to see a different example • Modern scenic Aces. 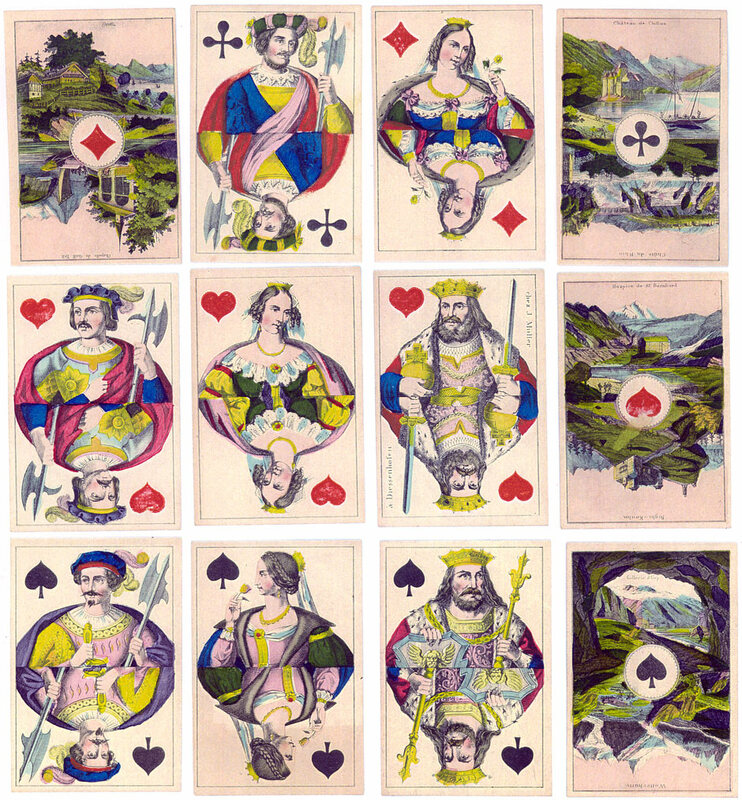 Above: souvenir pack with Scenic Aces made by J. Müller, stencil-coloured lithography, c.1860. The courts are conventional figures based on French designs.